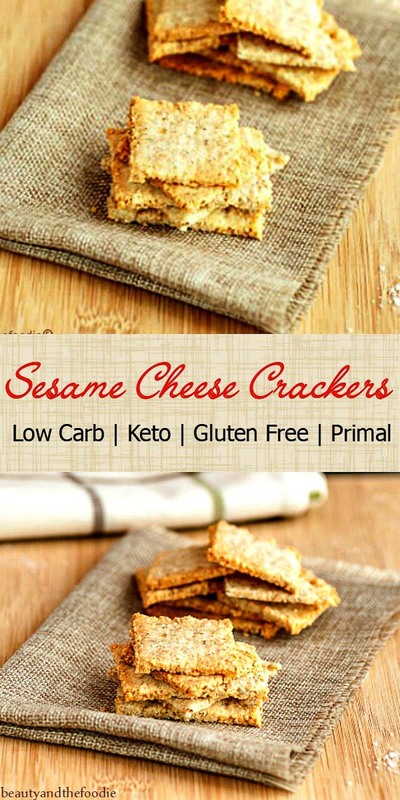 Sesame Cheese Crackers Low Carb are grain free, keto, and gluten-free, cheesy, sesame seed, almond crackers. 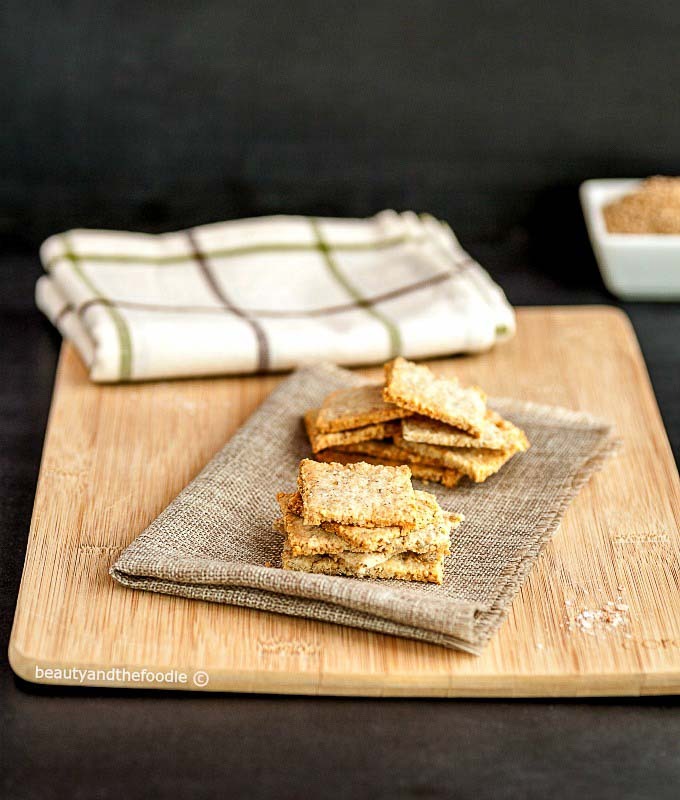 These baked Sesame Cheese Crackers Low Carb are grain free and made with almond flour, cheeses, and sesame seeds. They are crisp and perfect for snacking or spreading with your favorite dip. These have a wonderful flavor and smell so good while baking, that they brought my whole family out their rooms, away from their computers and into the kitchen. 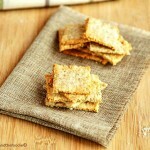 These crackers are also the stars of my second recipe instruction video (see above & watch). By the way, that is me, being goofy at the end of the video. I’m a video newbie, so any constructive feedback or helpful suggestions are appreciated. In a large mixing bowl, combine the first 7 ingredients, and mix thoroughly, until a dough forms. Remove dough and form into a ball shape and place between 2 large sheets of parchment paper. With a rolling pin, roll dough flat to about an ⅛ to ¼ inch thin. Place both sheets of parchment with the dough onto a baking sheet. Place baking sheet in freezer for 10 minutes to firm dough and prevent sticking while peeling off the top layer of paper. 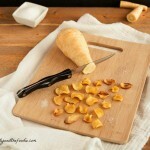 Remove from freezer and gently peel off the top sheet of parchment paper. Using a pizza cutter or knife, slice square shapes into dough. Using a pastry brush, brush the top of dough with olive oil and sprinkle with sea salt. Bake for 12 to 16 minutes, and turn broiler on low for one extra minute until browning. 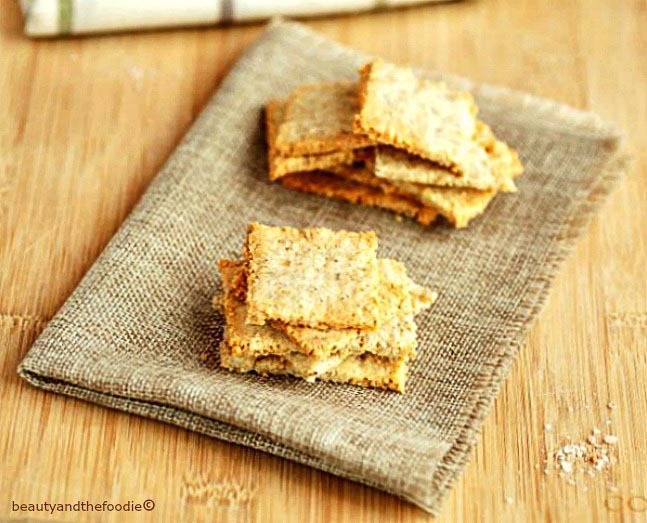 Remove crackers from oven and let cool for 30 minutes or until firm. Bake for 12 to 16 minutes, and broil on low for 1 minute until browning. 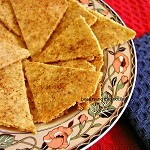 Remove crackers from oven and let cool for 15 minutes or until firm. Break apart along score lines and serve. These sound fantastic! I can’t wait to make some. How long do they stay fresh? Do you refrigerate or counter? Covered ? I covered them and stored on the counter for a couple of days. I have been making these for a few months now. We love them. I started adding a 1/2 Tablespoon of Everything Bagel seasoning to the mix. It adds a nice garlic/onion flavor to them. Thank you so much, Patty, I will have to try that. I’ve seen that spice and picked some up! Making these as i type.. they arw in the oven. Will keep you all posted!! Ok..i said i would keep you all posted…these are amazing…no kidding!!!!! Thank you thank you thank you!!!! Thank you for giving these a try! Can another non nut flour be used instead of the almond flour? My kids would love these for school but it is a nut free zone. Any ideas?? I have not tried this, but possibly raw shelled sunflower seeds ground up into a flour in the food processor might work as a substitute. Struggling to get the formula for the keto lifestyle. Lavana, I know what you mean. It is a bit of a learning curve at first. Let me know if you have any questions. Looking forward to trying these. Is it necessary to freeze the dough? I will not be able to fit a baking sheet in my side by side, but I might fit one in the fridge. Hi Kris, You can use the fridge as well. It is just to get the dough firm enough to slice the cracker shapes without it sticking to the knife too much. I don’t, and I use a pizza cutter to score the lines. This is so danged yummy it’s hard not to eat the whole thing! Thank you! Needed some crunch besides the veggies. We are new to low carb and are trying to make this a new way of life. Michele, Thank you for trying the recipe and your kind words. Let me know if you need anything or have any questions on low carb. I am happy to help. 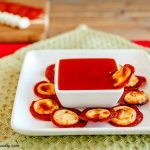 Stacey, thank you so much for this recipe! I made these for a baby shower and everyone loved them. I sent everyone to your site to check out all of your recipes. I made a few varieties too. I made the basic recipe and sprinkled some with rosemary, some with garlic butter instead of the 0live oil, some with sunflower seeds, some with poppy seeds. All were delicious! Raven, thank you for your kind words, and I’m so pleased you tried the recipe. I like your variation ideas (the garlic butter one sounds extra yummy) 🙂 Thank you so much for sending your friends to my site. You’re the best! Hi I would love to try this but I don’t buy extra large eggs do you know if this would still turn out okay with one large egg yolk? Yes Margaret, you can use a large egg white, you just may need to add a tiny bit more water to the dough. Just enough to form the dough. Thanks! I just needed a couple drops of water, Wonderful recipe! Awesome Margaret! thank you for updating us. I buy different sized eggs, so I also need to add a couple drops of water if the eggs are large or medium sized. Hi Kasey, Thank you for trying the recipe and taking the time to leave a nice comment. I am thrilled that these helped with the crunchy cravings, and congratulations on making it through the first week. I know the cravings can be intense at first. Let me know if I can help with any of your struggles while low carbing.